The 4th collection from AVON Simply Pretty! It is the Casual Cutie Collection that features light makeup at the same time promotes healthy dewy skin with neutral colors. In this collection it consist of 4 yummy flavored lip balm, 2 lip & cheek tint, BB Compact Powder & 2 liquid eyeliner. The first product is the BB Compact Powder. A BB Cream in a Powder form. BB Powder! You can damp the sponge and use the powder together to create a luminous dewy finish. It comes with a sun protection of SPF 24. It provides good coverage too. Along with that it helps to repair your skin, just like a BB Cream that stands for Blemish Balm. 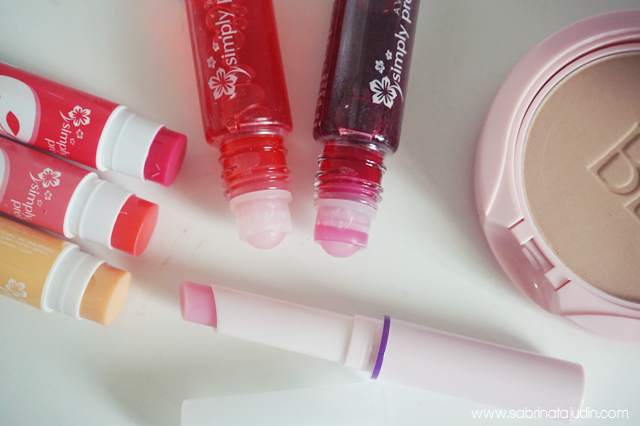 The other products are mostly lip products and also can be use for the cheek. Which is the Lip & Cheek Tint. It does not have a specific name but it comes in two shades which are a deeper red and a true red tint. I don;t like the scent as it is too sweet for my liking. This tint comes in a liquid sheer color payoff that you can blend using your finger on to your lips or cheek for a nice hint of red tint. 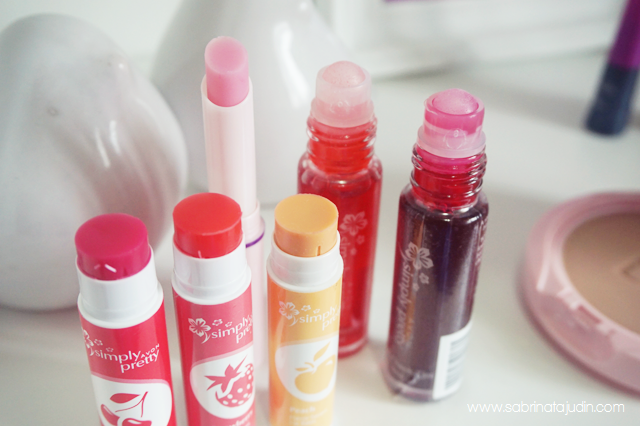 There are also 3 fruit scented lip balm that I love! Love the fruity scent this lip balm have, the other lip balm is the sheer one as you can see in the picture (a clear lip balm). The last product would be my favorite of all in this collection which is the Metallic Liquid Eyeliner. One is in glitter black and one is in glitter gold. I love to play around with this! Especially the black on my upper lid and the gold on my lower lid. 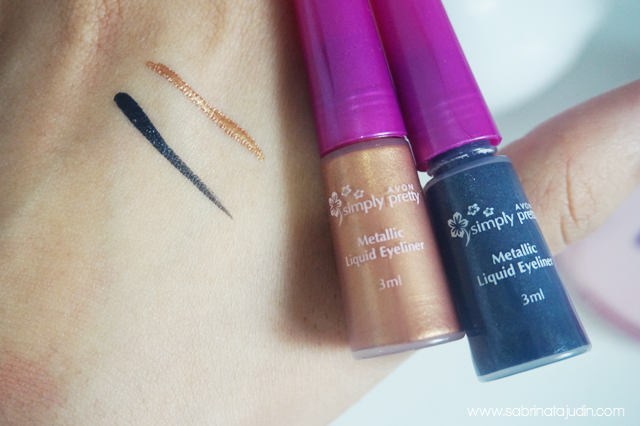 sukanya dengan metallic liquid liner tuu .. especially the gold one ! the lip and cheek tint looks so tempting, rasa nak beli semua XD avon products are quite good in quality actually coz I've used some of them all these while, berbaloi :) you know what, my youngest sister started making her makeup list of Avon products she wants mom to buy for her since she was 8 years old -_-'' see the power of Avon catalogue? budak kecik pun nak Avon :p btw Sab do check out my June 2015 Favourites post, Breena Beauty made it to the list!